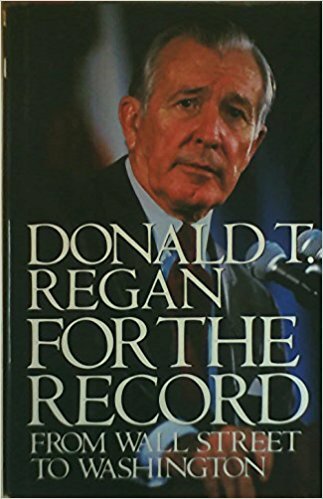 “Virtually every major move and decision the Reagans made during my time as White House Chief of Staff was cleared in advance with a woman in San Francisco who drew up horoscopes to make certain that the planets were in a favorable alignment for the enterprise. 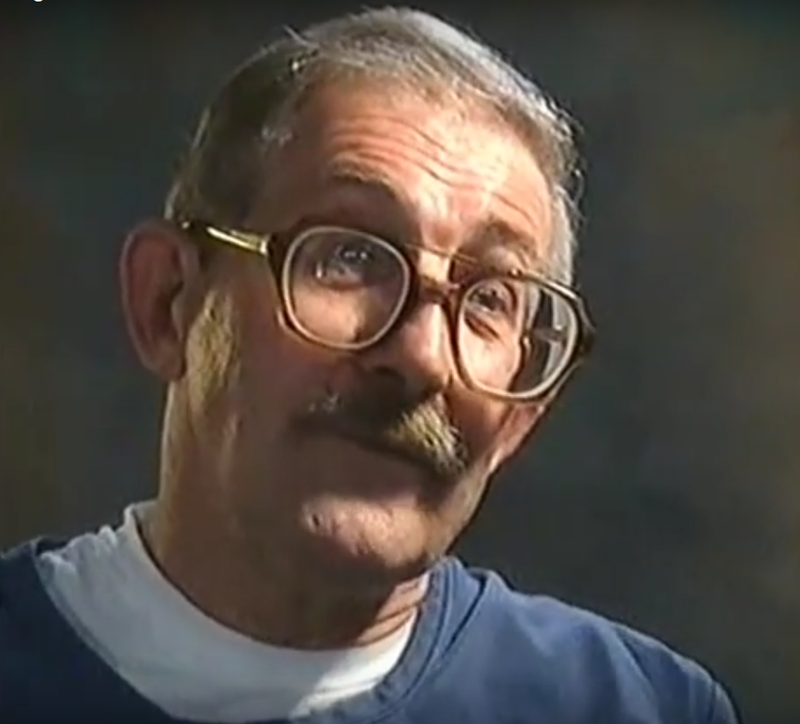 The CIA double agent Aldrich Ames famously passed two lie-detector tests. Like most junk science that just won’t die (graphology, astrology and homeopathy come to mind), because of the usefulness or profit their practitioners enjoy, the polygraph stays with us. Its most obvious use is as a coercive aid to interrogators, lying somewhere on the scale between the rubber truncheon and the diploma on the wall behind the interrogator’s desk. It depends upon the overall coerciveness of the setting — you’ll be fired, you won’t get the job, you’ll be prosecuted, you’ll go to prison — and the credulous fear the device inspires. This is why the Redmond report ventures into the simultaneously ludicrous and sinister reality that citizens’ belief in what is untrue must be fostered and strengthened. Rarely admitted, this proposition is of general application for our national security apparatus. You didn’t mention one of the intriguing elements of the interrogations of Dr. Lee which is in fact quite common — the false representation to the subject of the polygraph results. Because interrogations are intended to coerce confessions of one sort or another, interrogators feel themselves entirely justified in using their coercive means as flexibly as possible to extract them. Consistency regarding the particular technique is not important; inducing anxiety and fear is the point. …Deciding whether to trust or credit a person is always an uncertain task, and in a variety ofI’ve seen these bureaucratically-driven flights from accountability operating for years, much to the cost of our intelligence and counterintelligence effectiveness. The US is, so far as I know, the only nation which places such extensive reliance on the polygraph. (The FBI, to its credit in a self-serving sort of way, also rejects the routine use of the polygraph on its own people.) It has gotten us into a lot of trouble. Letter to Steven Aftergood of the Federation of American Scientists, November 28, 2000. 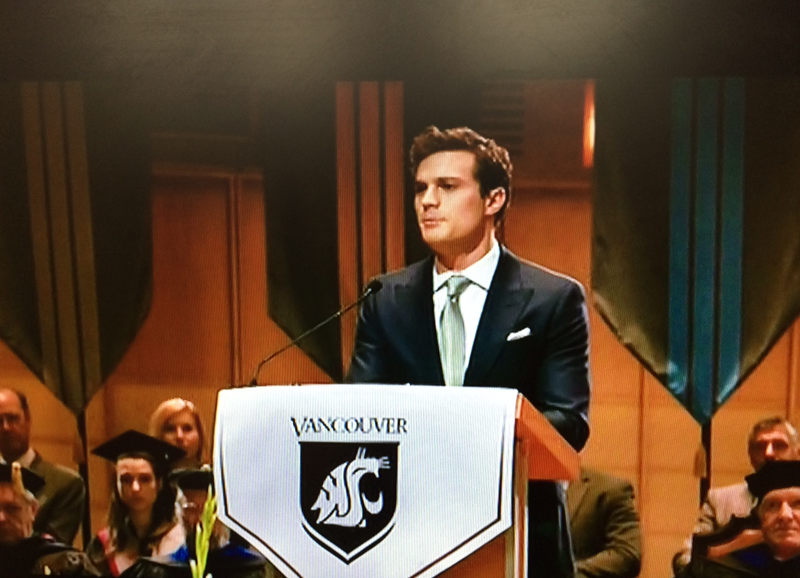 A meticulously lit and art-directed film, the scene of the self-made-billionaire-and-sadist Christian Grey addressing his inamorata’s graduating class was obviously shot at a real university. 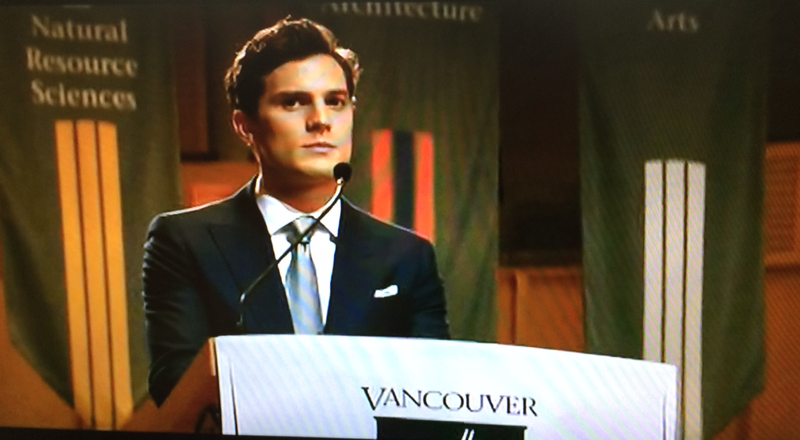 A university which is– as the sign below the podium clearly states–located in Vancouver. * Canadian cities have a proud tradition of standing in for American ones because production costs are so much cheaper. “You can wipe your arse on the dollar,” Keith Richards once replied to a hopeful Canadian journalist who asked if the Rolling Stones rehearsed their tours in Toronto because they loved the city so much.